There was a giant press file with these products, and it was very interesting to read all about the biology behind these products. However I couldn't really summarize everything for you (because it was a lot), but here are the most important points in my opinion. 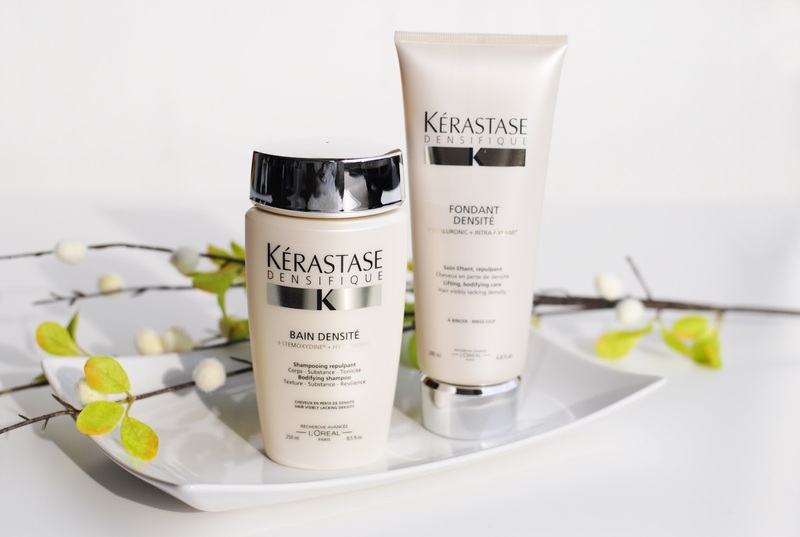 To make your hair thicker, dormant follicles in the scalp must be awakened. And melanin, which provides both color and a natural protection, should be reinforced. 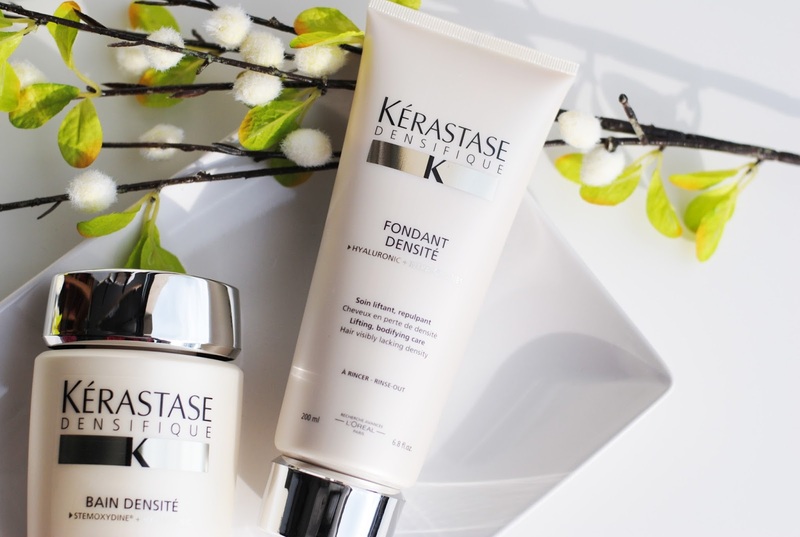 The base of the Kérastase Densifique line is a molecule called Stemoxydine. This stimulates the follicle and it promotes new hair growth. 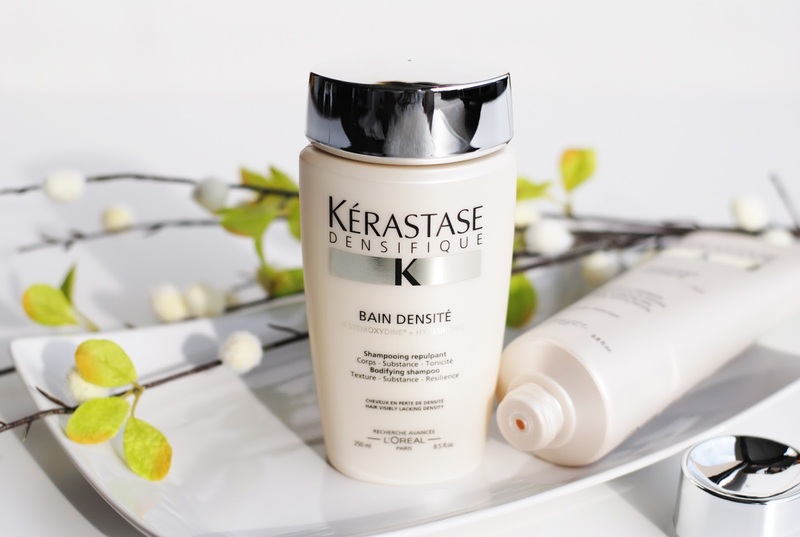 And now, in the renewed version, Kérastase added glycans to the formula, which stimulates the cells. 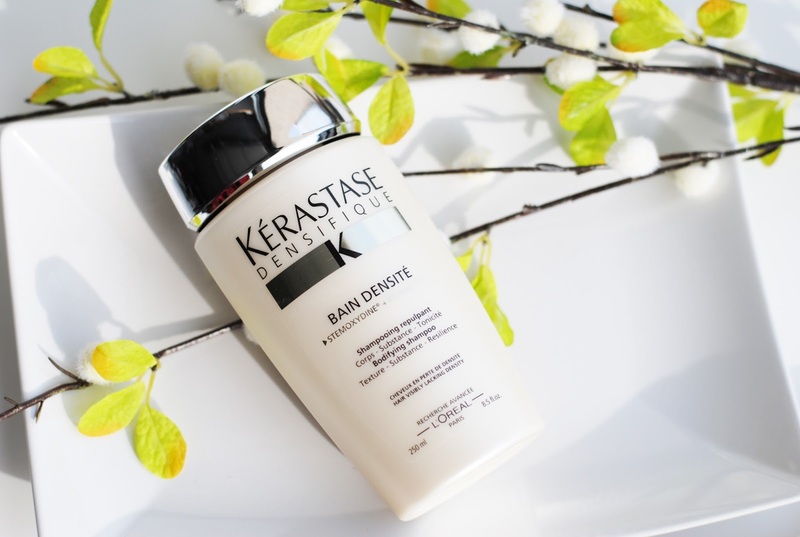 More volume, softer and shinier hair. Stronger and revitalized hair fiber, hair looks fuller. More hair and thicker/fuller hair. More than 1000 new hairs. The hair is significantly fuller. 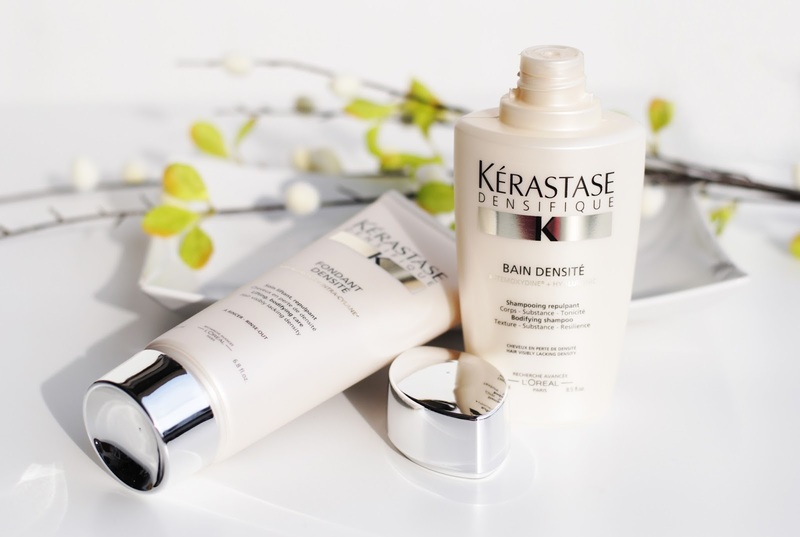 The Densifique collection exists out of 5 steps and 5 products. The Bain Density is step/product 1. The formula contains Stemoxydine and Hyaluronic Acid. It should be used just like your average shampoo. The shampoo is strongly scented, but I love it. It smells luxurious, professional and hairdresser-like. I can smell it in my hair a day later. I always used these two products together, so I can't really review them apart from each other. They also have to be used together if you have the chance. 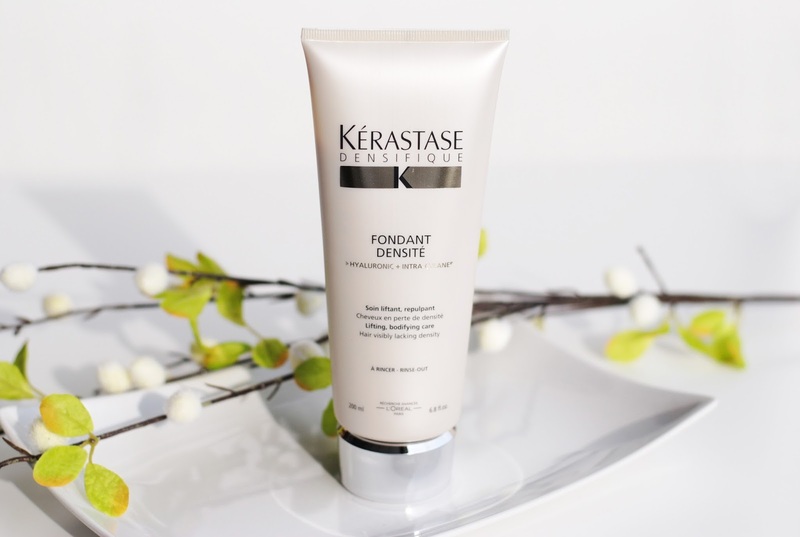 The Fondant Density is a lifting care that promises fuller hair. It coats every fiber and makes it stronger and softer at the same time. The formula contains Hyaluronic Acid and Intra-Cylane. You have to use this on towel-dry hair, leave it in for 2 minutes and then rinse it off. So, my experience. 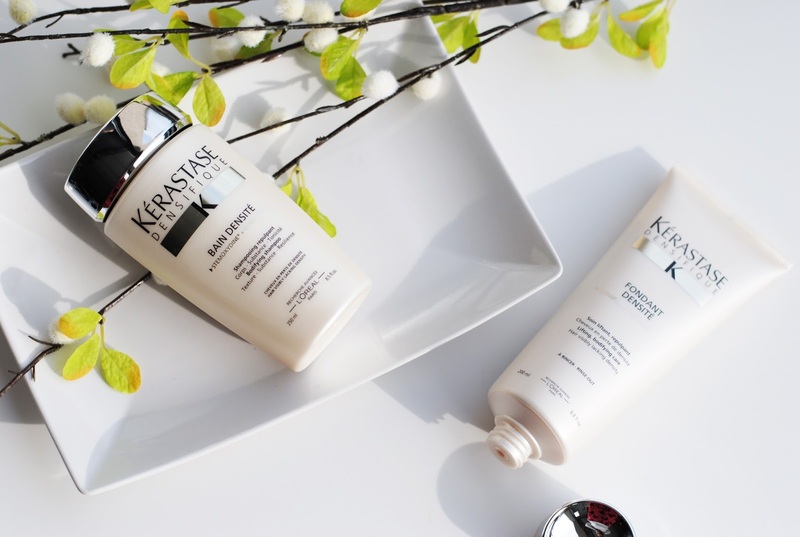 I have tested these products a couple of weeks, not the full 3 months, because I have a lot of haircare to try out for you guys. I actually expected more volume in my hair from treatment 1, but the longer I used it, little by little more volume appeared. I can't really tell if I grew new hair though. But I did notice that my hair looked thicker after a few treatments. 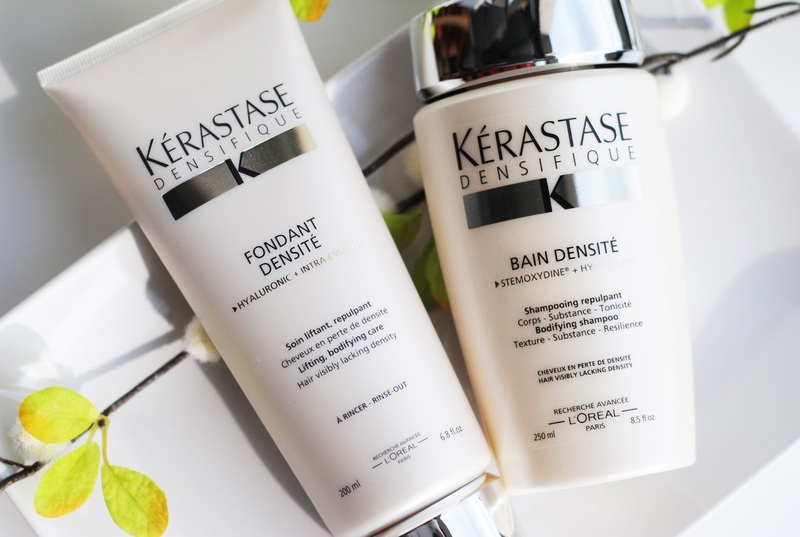 I can say that Kérastase did a good job on these products. They promise a lot, but they also researched a lot. 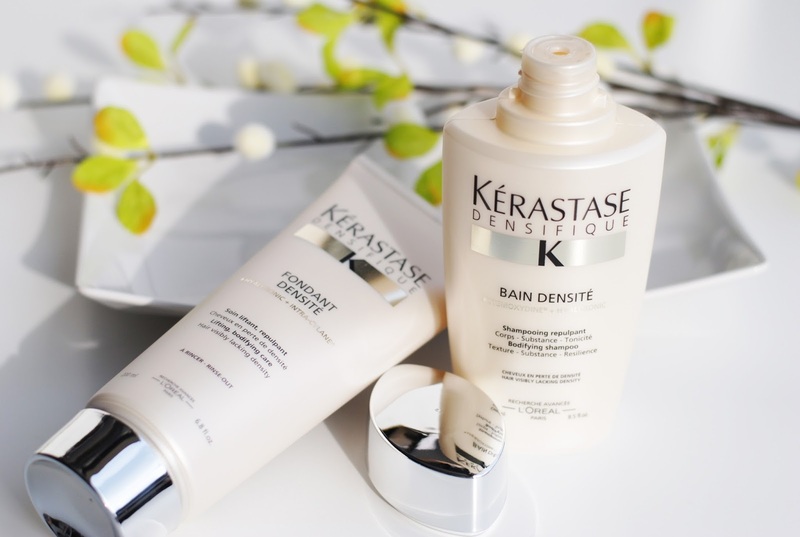 I did notice difference during my treatments, but to really see new hairs grow I have to pass these products to someone else who has very thin hair, where you can actually see the growth. 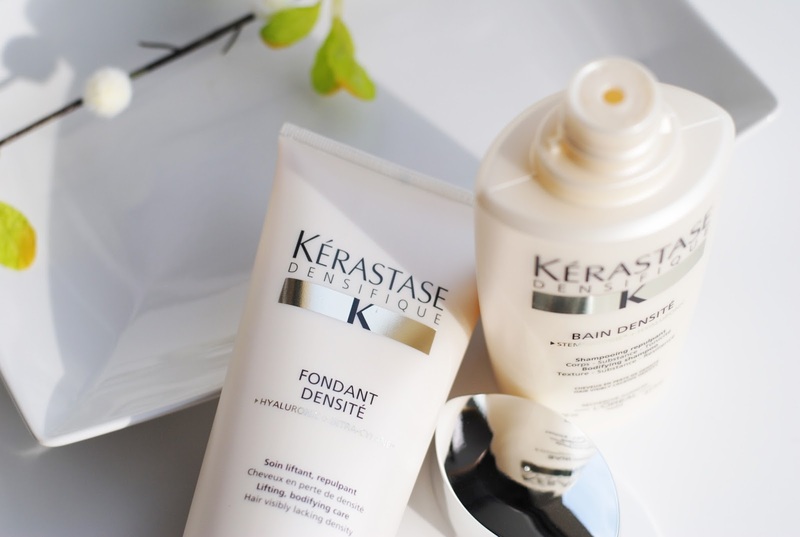 What kind of care do you need for your hair? It's cool that they did so much research for these products and that they actually work. The packaging looks great too, it's really luxurious. 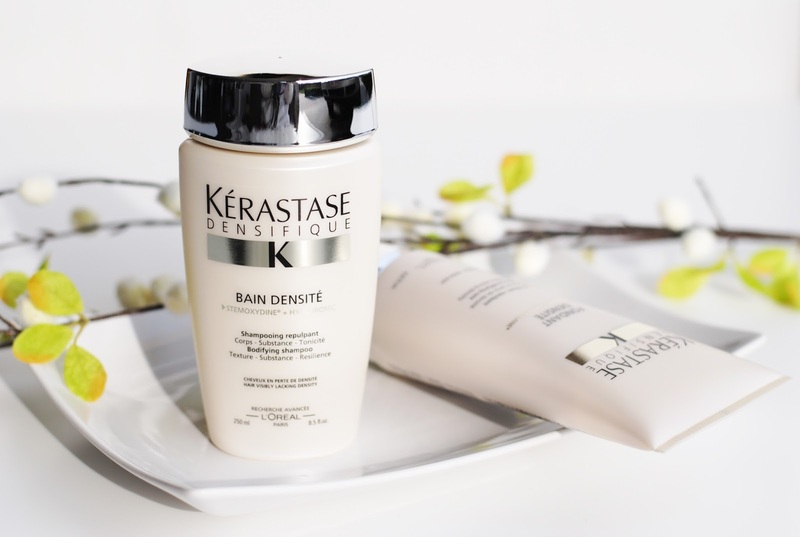 The shampoo I immediately liked but the conditioner I'm still on the fence about.